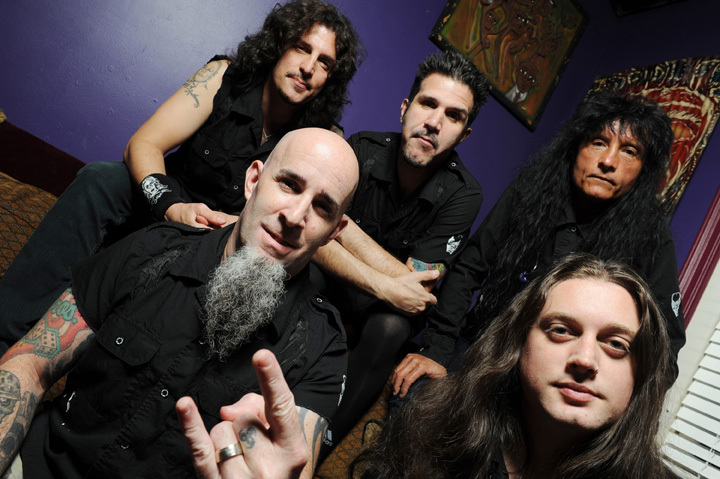 LOS ANGELES, CA – (Tuesday, March 31, 2015) — Anthrax, five-time-Grammy-nominated, Platinum-selling, and card-carrying-member of The Big Four, will begin the set-up of its brand new album when the band hits the road late next month. First up, a six-week-plus North American trek that will include 24-dates with Volbeat, as well as appearances at five major outdoor festivals – Northern Invasion (outside of Minneapolis), Rock On The Range (Columbus, OH), Rocklahoma (Pryor, OK), and the San Antonio and Kansas City Rockfests. Dates start in Denver, CO on April 24 (the complete itinerary is below).